Classic Tourhorn. slightly different than the others, but still a tripple toned air horn. Just as the our other Tour Horns this one is also installed in cars used by professional cycling teams. Slightly different than the others, but still a tripple toned air horn. 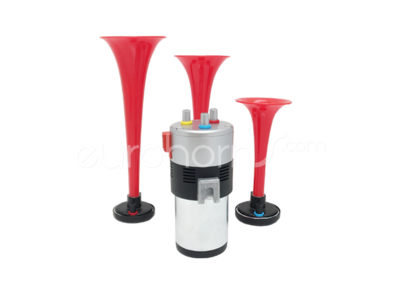 type of air horn is commonly known as the The Tour Horn.